This year’s iteration of the program included more communication about locations for returning the shells, with return receptacles across campus and a student video highlighting “the importance and ease of returning them,” according to Klass. Nonetheless, the inventory of shells was almost exhausted, with a total loss of 3400 units, a value of more than $11,000. Only 12 containers remain in inventory. According to Klass, the College will not be replenishing the inventory. Campbell emphasized her disappointment in the extremely low amount of containers returned. “I expected more from the Williams community,” she said. “I was also confused. I expected that some of the clamshells would be lost, but not all of them. Nearly 100 percent of the 3400 clamshells purchased in the fall have been lost.” Campbell is currently preparing a survey for students to help explain this loss. Students were not the only ones at fault, according to Campbell. 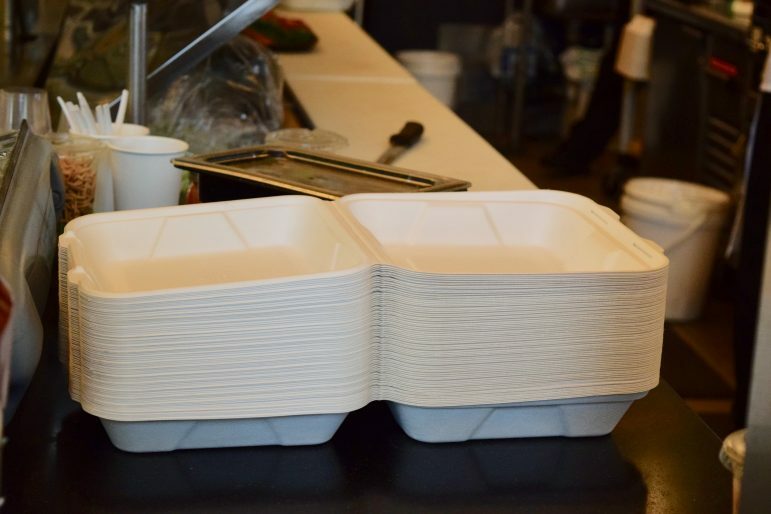 She questioned, for example, the “administrative agendas” of the College in comparison to peer institutions who have successfully implemented reusable to-go container programs. “I don’t think Williams students are inherently different from students at these other schools in any way that might make them especially less disposed to return their clamshells,” she said. “Rather, I see the Williams administration failing to place environmental concerns at the top of their list of priorities. I think the administration is establishing a norm of complacency with regard to climate change related issues that not only has structural repercussions … but also filters through students and staff to perpetuate a campus culture in which the environment is simply not a top concern.” Campbell also noted that inadequate infrastructure, such as an insufficient number of return bins, may have contributed to the loss.